I didn’t go to BIFF in 2009, I had started a new relationship and a new second part time job and so that was that. During decluttering I found a program for BIFF 2010 which featured Jucy, the next film from All My Friends Are Leaving Brisbane director Louise Alston but that was for a gala screening and I remember Karen and I went and saw the film at a normal screening so it must have been just after BIFF. BIFF 2010 was significant for a number of reasons far more momentous than whether I attended or not. First of all Artistic Director Anne Demy Geroe who had been there since the first BIFF in 1991 stepped down at the beginning of 2010 to pursue a PhD in Iranian cinema at the University of Queensland, she now teaches at Griffith University various film classes. As a volunteer I had very little to do with Dr Gemy-Deroe or Ms as she was then but its undeniable the impact that her imprint on what BIFF was and is cannot be measured. BIFF suffered following her tenure and I noticed her last year in attendance at BIFF 2017 on opening night. It was good to see her there, it just wouldn’t be BIFF if she wasn’t there. Other changes were in store in 2010, the festival moved from late July/early August to November and the Regent cinemas were no longer around so BIFF screened at Palace Centro and the new Palace Barracks cinemas and the Tribal Theatre over on George Street. When I was a young man, Tribal Theatre was owned by Dendy cinema but had come under new management. The Tribal Theatre actually had a long history of being a place to go for alternative cinema for Brisbanites but whatever plans the owners had, the Tribal Theatre is no longer with us. I have fond memories of Napoleon Dynamite, Bowling for Columbine and other films when it was Dendy and of seeing films for BIFF in 2010 year at Tribal. The Regent Cinemas I was even more sad to see go, in 2009 I signed a petition for them to be kept but petitions don’t always work. Money talks but here is but a reminder of what was lost albeit the grand foyer remains. 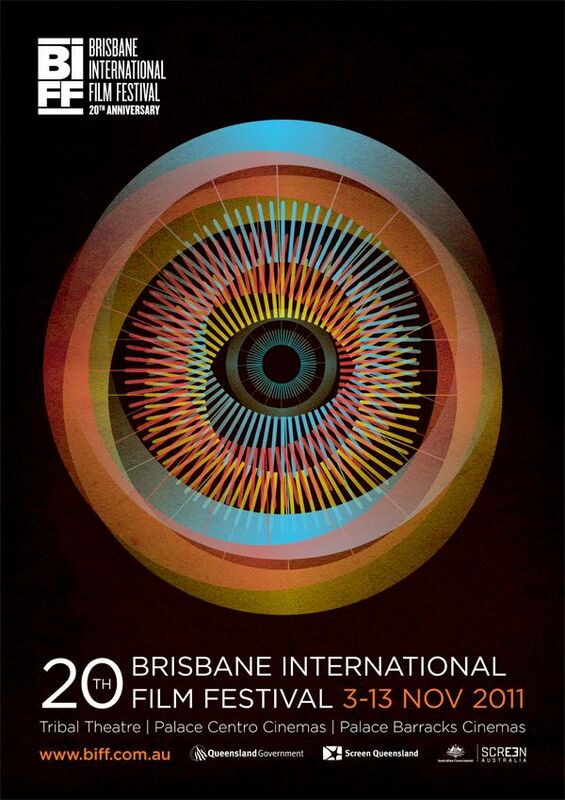 The 19th Brisbane International Film Festival ran from the 4th to the 14th of November 2010 and featured 101 features and 51 shorts. Significantly down from say the 2005 program but still larger than the return of 2017. Some of the language in the program reflects changing times urging people to surrender their small screens and think big while also stressing that BIFF was going digital. Following earlier artistically vague and thematic posters from the past here there was a more direct reference to the Brisbane CBD and classic mainstream cinema. For the record the Opening Night film was Cane Toads: The Conquest and Closing Night film was Reign of Assassins starring Michelle Yeoh and as usual I attended neither. There were a lot of great things happening at BIFF 2010, a writer’s room showcase, a dive-in cinema showing Jaws and Deep Blue Sea over at Splash Leisure Fitness Centre, Monsters, The Room, The Dark Crystal, Winter’s Bone, a tribute to Jack Cardiff (I really wanted to see The Red Shoes), Lebanon. I would have loved to have seen those but there were four films we saw and they were as follows. COPACABANA: My first Gala screening at BIFF and my first screening at BIFF at Palace Barracks took place on Friday 12NOV2010 at 6:30pm. I went and saw the film with a group of friends including Karen and Karen B. 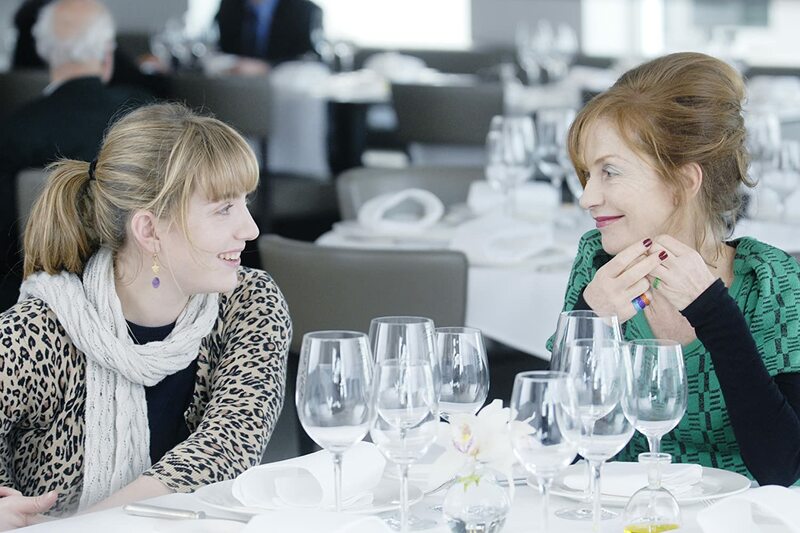 Telling the story of a mother and daughter it starred the esteemed Isabelle Huppert as a free spirit who seeks to change her ways when she realises her daughter is so embarrassed by her – she has not invited her own mother to her wedding. Very French and very charming we all enjoyed the film. Standing outside on the walkway outside the cinema after the film it seemed to take forever until the food arrived and was carried around by staff on platters as we all sought to grab some and fill our bellies while also grabbing a glass of something. Eventually those small tasty morsels add up and we were close to full. Most of my screenings at BIFF were solitary experiences maybe with one other person. I note that here I was with a group, an experience that has been repeated at the Alliance Francois French Film Festival and the Italian Film Festival but not often at BIFF. Although I’ve never gone to a screening alone since 2008 and this would start with BIFF 2010. I also saw Andre again who had made his first feature. RESTREPO: Karen and I saw this American documentary the next day at Palace Barracks 2, Saturday 4pm 13NOV2018. Sebastian Junger and the late Tim Hetherington made the film while embedded with a platoon from the 173rd Airborne Brigade Combat Team in the Korengal Valley for a year. The war in Afghanistan was ongoing at the time and Australian casualties were seeing a sharp rise. Film Festivals can’t help but reflect what is going on in culture at the time. Restrepo was an outpost named after Private First Class Juan Sebastian Restrepo a platoon medic who was killed. While the Korengal Valley was one of the hotspots of the war at the time the film footage reflects the confusion and fast movements of combat. The enemy is seldom seen and its hard to always know what is going on. A lot of action involves indiscriminate sudden rounds coming in and the outpost responding in kind but never really knowing the result. Afghan civilians and attempts to build things with them are shown too but there’s a definitely a feeling of disconnect. For the soldiers it boils down to missing home and girls and just trying to get by day by day. The most haunting part comes during Operation Rock Avalanche where in the heat of battle a soldier finds one of his friends mortally wounded and breaks down sobbing and wailing like a little boy. The striking reality of combat for all to see. An important film that should be seen by many. I LOVE YO PHILLIP MORRIS: From Restrepo we headed to Palace Centro 1&2? (seriously the program says both) at 9pm Saturday 13NOV2018 to watch this French/U.S. co-production which sports one of the best Jim Carrey performances and some of Ewan McGregor’s more admirable work of recent years. Carrey plays a gay conman and McGregor his true love whom he met in prison. Even these handful of years earlier it was seen as unusual for two mainstream stars to be playing gay men whereas now we might complain if the roles weren’t cast with gay actors. I found their love scenes authentic and moving, the relationship is sweet and non-explicit anyway. Carrey delivers a great performance nonchalantly narrating throughout some classic lines but also evoking a real sense of hurt and longing near the end. Based on the life of Steven Jay Russell it is an affecting character study but there is not much else to it. We’re sad the two men are apart, we marvel at some of Carrey’s antics but in the end a criminal is in jail for ripping people off. What drives someone to do that? The film offers no answers. JOAN RIVERS: A PIECE OF WORK: It’s hard to pick a favourite from the films I saw at BIFF 2010 but it may just be this film which we saw at Tribal Theatre 2 on Sunday 14NOV2010 at 4pm. I didn’t know a lot about Joan Rivers before watching this except for some plastic surgery jokes. What I found was a comedian whose humour I admired. An example is how clearly the pain her husband’s suicide caused her and the jokes she relentlessly she brought to bear about it at her own expense to win you you over by sheer willpower. Whether you like her comedy or not this is a stirring examination of a late in life comedian’s unwavering work ethic and a fantastic pondering of what makes somebody like that tick. One of my favourite later Roger Ebert reviews is about this film and David Letterman I feel spoke so eloquently about the appeal of Rivers upon her passing in the clip below. MELANCHOLIA: I got married in 2011 and would not be surprised if we didn’t attend BIFF that year but its possible we saw Lars Von Trier’s Melancholia at Palace Centro as part of BIFF. This was BIFF’s 20th Anniversary so it’s nice to think I was there. Maybe it was later when the film received national release. New to Lars Von Trier’s style I found the story of a woman (Kirsten Dunst in an exceptional and difficult performance) seeing the impending doom of the Earth haunting and thought provoking. I saw it with Karen and our friends Rosie and Sandro who I wrote about a hike we took together here Sandro was a man’s man but also very kind and respectful at all times. I miss him. BIFF increased it’s slate of films and partnerships in 2011 and saw an increase in attendance and box office. Then there was a change of government. THE GOOD, THE BAD AND THE UGLY: In 2012 funds were tight but when I saw The Good, The Bad and The Ugly would be screening on a big screen at BIFF, we found a way and saw it at Palace Centro cinemas. There’s not a lot more I can add about that classic except if you haven’t you really should. At the time Sergio Leone’s westerns with their sweaty faced protagonists seemed like a like a new type of realism in the 1960s. Now with the anti-hero firmly established in popular culture, the mythic qualities of the storyteller get more recognition. It’s hard to argue he made a better film than this one but Once Upon A Time In The West makes a good case. The later film about the West giving way to modern society and with it the men who populated it. The Good, The Bad and The Ugly capping off a trilogy of bandits and mercenaries is meditative about violence and death with the American Civil War serving as a backdrop. A transformative score from Ennio Morricone and great performances from Clint Eastwood, Lee Van Cleef and Eli Wallach. I didn’t go to BIFF In 2013 even though money may have been less of an issue but the part time job did take up a lot of my time and energy. 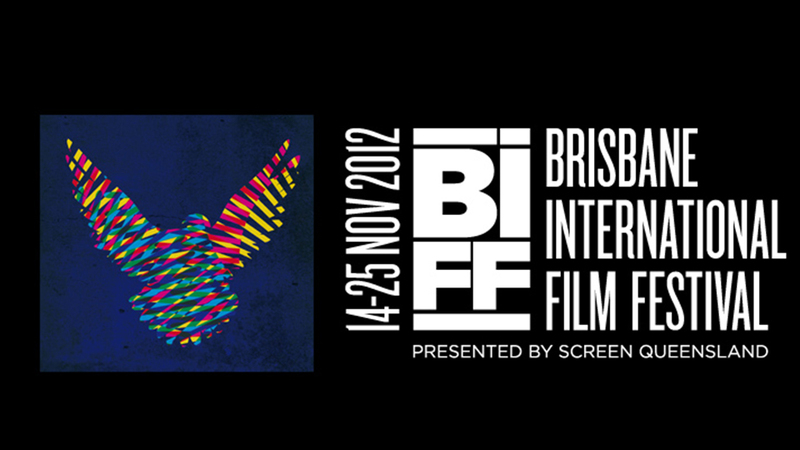 As it turned out this was the last Brisbane International Film Festival for some time. The Qld State Government cut funding through their organisation the Pacific Film & Television Commission (now Screen Queensland) which was mainly responsible for BIFF and in corralling several corporate sponsors. The Brisbane City Council stepped in and created the Brisbane Asia Pacific Film Festival and a group of academics got together and created the Queensland Film Festival which is still going. This is very admirable but I’m afraid I attended neither, in the case of the former I was livid that BIFF had been stopped and effectively replaced by BAPFF. As late as mid-2017 I drew plans to write these series of posts to start an underground movement (not really?) to call for BIFF to be brought back and then a strange thing happened. They brought back BIFF. To be continued. Love those old cinemas. Such a pity they are gone now. Looking through the post, I have seen ‘Cane Toads’ and ‘Restrepo’, ‘The Good The Bad and The Ugly’ (on release), ‘Monsters’, ‘The Dark Crystal’, ‘Winter’s Bone’, and obviously, ‘The Red Shoes’. You have great memories of BIFF, such a foundation for your enduring love of films and cinema. Wow thanks Pete, all true. Of course some of those films I didn’t see at BIFF or even yet in general but I’m glad to see you have. It is something special to have been a part of and there were so many good films I saw. Well next up BIFF 2017. There are a few older cinemas in Brisbane left but nothing grand like the Regent.